Most people get around Southern California by driving, and as a result, the region has its fair share of automobile accidents. Should you find yourself injured in an accident, you’ll probably have a number of questions. Your safety comes first. If you are seriously hurt, seek emergency medical treatment right away. Make a statement to the police if you must, but be careful not to admit fault. 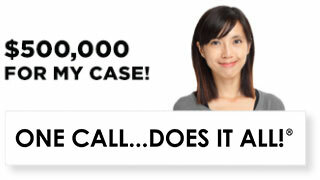 As soon as you are able, contact a Los Angeles car accident lawyer with Ellis Law. Only with a trusted attorney by your side can you be certain your rights are being protected. Using police reports, information from eyewitnesses, and evidence from the crash scene, we can paint a clear picture of what exactly caused your accident, and who was at fault. If the other driver appears to be totally, or even partially, liable, you may be able to seek compensation. 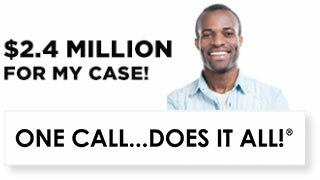 Oftentimes, the liable driver’s insurance company will offer you a cash settlement right away. It’s important to have a personal injury lawyer look over the settlement before you accept. They may quickly offer a small amount in hopes that you’ll take it and waive the right to further compensation. How much compensation do I deserve for my injuries? This depends on many variables, including the seriousness of the accident and the severity of your injuries. Your lawyer will add up the cost of emergency and ongoing medical care, damages to your automobile, and missed income and income potential. Once those tangible expenses are calculated, they’ll then add on a sum for pain and suffering. This money is supposed to make up for the agony and mental distress you’ve had to endure as a result of your accident. Of course, there’s no standard dollar amount for pain and suffering, and every accident victim is a unique case. Ellis Law offers free and confidential consultations with any and all car accident victims in the Los Angeles area. We can help you decide what your next steps should be. We can connect you with experienced physicians who can properly assess your current and future medical needs, and we can deal with your insurance company and the liable driver’s insurance company. We know how scary and confusing the time following an accident can be, especially if you’re seriously injured, and we strive to make the process of hiring legal representation as easy on you as possible. If you’re too hurt to travel to our offices, we’ll gladly make an appointment to come visit you at your home or care facility. It’s no secret: hiring a lawyer can be extremely expensive. 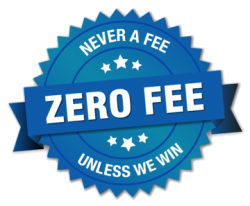 At Ellis Law, our partners work entirely on contingency fees. That means our payment is contingent on you reaching a fair settlement, or winning damages from a jury. There are no upfront legal fees whatsoever, and in the unlikely event you lose your case, you won’t owe us a thing. Don’t let a lack of funds keep you from seeking justice. Come in for a consultation today, and if we decide you have a case, we’ll get to work right away. We have a reputation for treating every client with the care and dedication you deserve. If some time has passed, even if you’ve already filed an insurance claim, you should still meet with one of our car accident lawyers to discuss the specifics of your case. We may be able to help you win damages that can help you stay out of debt while you recuperate, and make sure you have solid financial footing once you’re back on your feet. 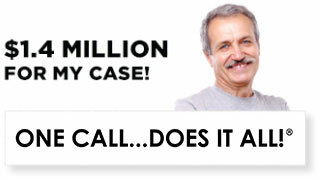 In 25-plus years of practicing law in California, Ellis Law has secured over $350 million in damages for our clients. It’s an impressive figure, and it’s a figure that has helped people like you put their lives back together after a traumatic event. Schedule a no-obligation consultation today and let us see if we can help you. 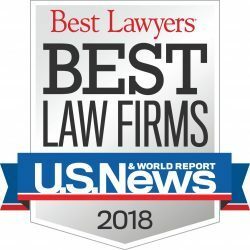 When your happiness, health, and future are on the line, choose the firm that U.S. News and World Report named #1 in the Los Angeles region.